Galesburg is an important railroad navagation point along the BN&SF railway and is also the birthplace of Carl Sandburg, a site of a Lincoln-Douglas Debate, and a temporary home for future President Ronald Reagan. Galesburg lies about 30 miles south of the Quad City Area on Interstate 74 and US 150. 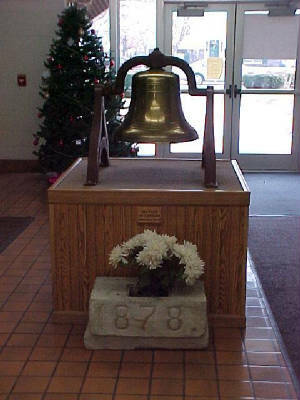 Galesburg was one of the first cities in Illinois to support a public high school and a private high school. 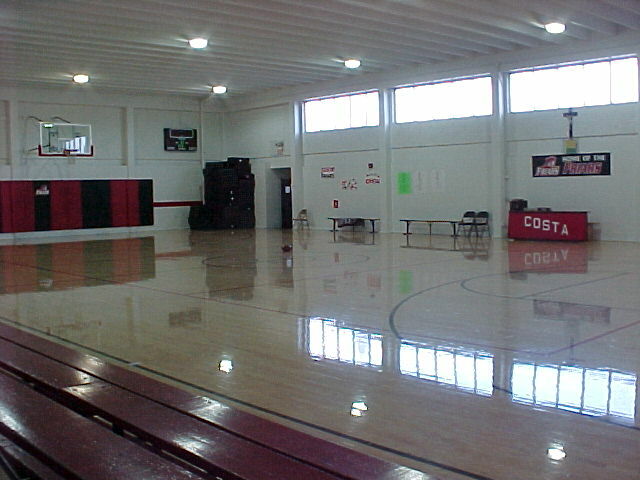 Costa High School was a successor to the old Corpus Christi High School, which closed in 1964. 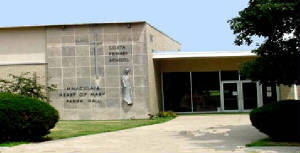 The Costa School enjoyed a few years of providing high school education to the Galesburg community. In 1971, the school shut down due to low enrollment and increasing costs, but was soon brought back without the 9-12 grades. Today, the school serves a K-8 Christian education and is supported through the Corpus Christi Church of Galesburg. High School students now attend Galesburg Christian High School. We do know that Costa School offered athletics for their students - evident in the fact that the school today and Corpus Christi before offered athletics. John Pulliam tells us that the Friars were a full-fledged member of the IHSA and played in the Little Six Conference, which included teams such as Knoxville, ROVA, Galva (at times), Alexis, Abingdon and others. Currently, Galesburg Christian is a member of the Northern Illinois Christian Conference and not affiliated with the IHSA, but was at one time as an associate member. 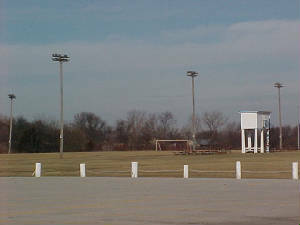 We are currently looking for athletic information about Galesburg Costa School in their activity in the NICC. The 1966 basketball team under the tutelege of Rex Davis was 24-2, losing to Galesburg (the eventual state runner-up to Harvey Thornton, led by future NBA player Jim Ard) at the Bushnell-Prairie City Regional, 78-66. Larry Woods and Jim Kemmer were two stars from the Friar team that year. The Costa boys athletic program offered football too. Two of the better seasons are listed below. This includes Costa's last football team, the boys of 1970-71, who yielded the program's best record to close out their history. Thank you to Tom Sikorski for this information. "I attended Costa High School in 9th & 10th grade from 1969-1971. 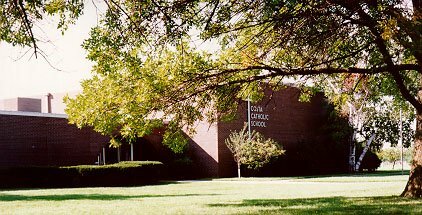 At end of 10th grade at Costa High School the 3 parish priests (from Corpus Christi Catholic Church, St. Patrick’s Church, & Immaculate Heart of Mary Church) decided to close Costa High School---quite a devastating decision, one which the entire Catholic community was against. We had sufficient funds to continue operating thru 1973-the year my class would’ve graduated from Costa High School. Our parents, extended family, friends, alumni, & community were pledging & working diligently raising money to keep Costa High School ‘alive & well’ for future generations, but the 3 priest’s decision was final." Costa also has an alumnus among the sports broadcasting world...Pete Weber, who currently does play-by-play of the Nashville Predators of the NHL.